In Part 4 of 5, we talk about what it means to be a good neighbor on LinkedIn, and the traps you need to avoid that will sink your ability to get new clients from LinkedIn. In the past we have talked about scotomas (blind spots on the brain) and if we are living in a giant video game. Today we tackle illusions and our ability to predict the future. So what does all this mean to you - your daily life and one full of satisfaction? Have you heard of the Simulation Hypothesis? I am reading a book on it now, and here is how I relay this to my every day work. In today's podcast we talk about the $1.80 strategy (giving credit where its due) and the top 5 things that people are doing to extend their reach on LinkedIn. We also talk about the book I am loving this week, and why. E54: What's the top thing you can do to extend your reach to more people on LinkedIn? Did you ever see the movie Hoosiers? Do you remember the iconic scene where coach Norman Dale takes his kids into the cavernous Hinkle Field Hour at Butler University, for the State Championship game. Today I share a little story from my own hoops background and a perspective on reframing or making that slight shift in perspective that can be your next inflection point. E:53 - Have you seen the movie Hoosiers? Do you know the story behind what is widely considered to be the "first high 5?" We talk about how it happened back in 1977, and more importantly what it means to to you in bringing more awesomeness into the world. This short and sweet episode (less than 4 minutes) shares a counter-intuitive way to engage more deeply. Turns out our best efforts to be more polished may actually be costing us new clients.See https://TobinSlaven.com/scale for more information about how we are creating more conversations, and with the right people. E50: Are you looking for more "polish" or more results? For the next 100 days, I will be giving 1 book away each day. Today we are talking about The Referral Engine, by John Jantsch. We talk about how to become "meaningfully unique" and who will be getting this copy. Over the last couple of weeks, I actually stumbled on a new way of looking at our work - and discovered that you can actually create a sales simulator (like a flight simulator) for your business. Last episode of 2018, and I go on a rant about the "leg humpers" and the folks who are willing to burn relationships, all in the name of getting the almighty sale. There is an alternative way - through preeminence. In this episode we talk about the implications of how often you send your email newsletter. Is being top of mind 1-2x a year enough for you? And the secret to getting 2-3x your current open rates. How do you get your audience to pay attention to your posts? Today's episode shares a couple of useful resources that I am using (one book, and one tool) that make it easier and more compelling when you post. Let's take a minute to talk about scotomas, or blindspots on the brain. How are the created, and more importantly - how can you remove them? E44: What is a scotoma, and why should you care? Are you sharing your content on LinkedIn? Want to know how you could reach 10x more people, with one slight adjustment in your sharing? That's the topic of today's episode of the Stop Marketing Now podcast. In this episode of Stop Marketing Now - I recorded a short piece of background on conversational copy for our paid coaching group. And I am sharing that background with the podcast audience today.What is conversational copy, and why does it matter? Let's dig in. E42: Special Edition: What Is Conversational Copy? 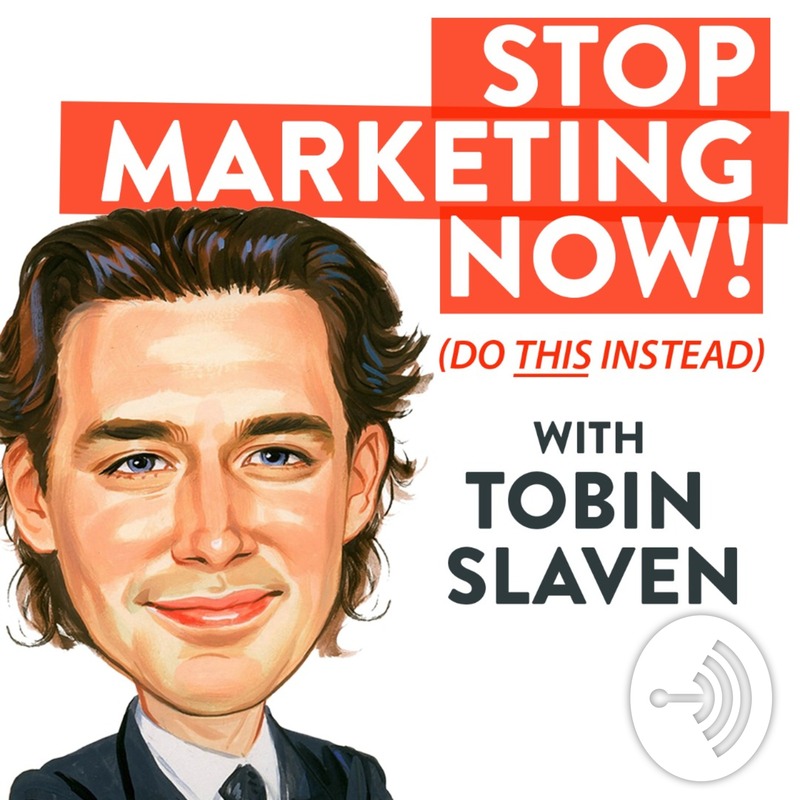 In this episode of the Stop Marketing Now podcast, we talk about that feeling (many entrepreneurs wrestle with this) of scuffling along, and not making the progress we want. Not winning and feeling frustrated. So I dig into my past as a former basketball coach to share some insights into what this means for you - and how to turn the game around. In this last episode of the 5-Part series, we wrap up with how NOT to be seen as the "bad date" experience on LinkedIn. In this episode [part 3 of 5] we talk about Sales Navigator - should you get it, what it will do for you - and one surprising way to use it that you probably didn't expect.